I cant explain how fond i am of churmuri . Usually here we get it in small gaadi waalas. But as kids we were not allowed to eat out and hence my mum used to make it for us at home. She would mix it in a huge huge mixing bowl and serve everyone in these paper cones and give me all that is remaining in the bowl 🙂 and till date i love eating it in the mixing bowl. 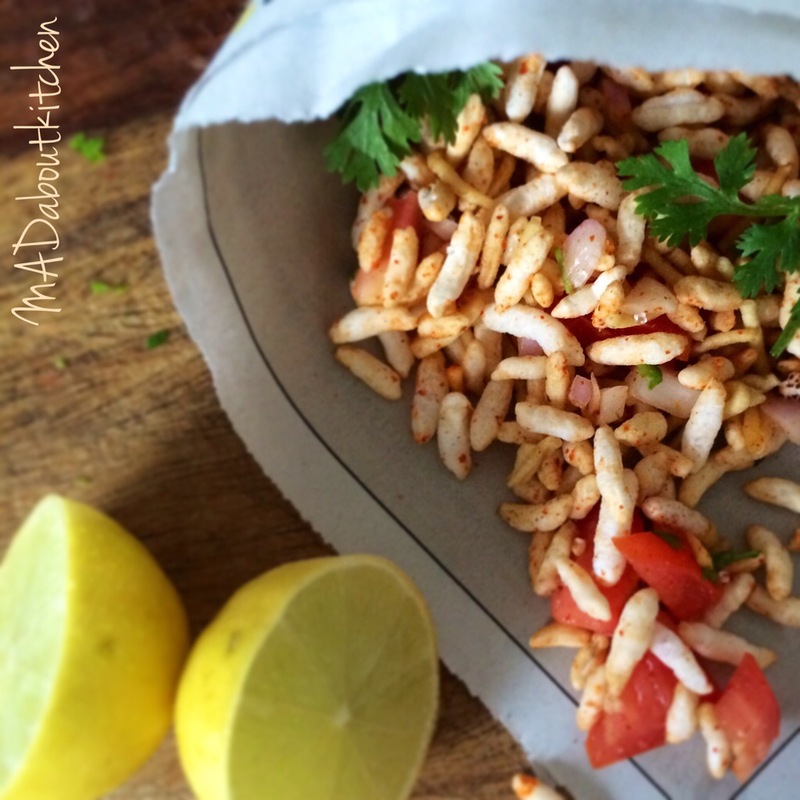 In a huge bowl add all the above ingredients except for the puffed rice. At the end add the puffed rice. Taste it to adjust salt, sugar, chilly paste, lemon juice according to your taste. And serve immediately. 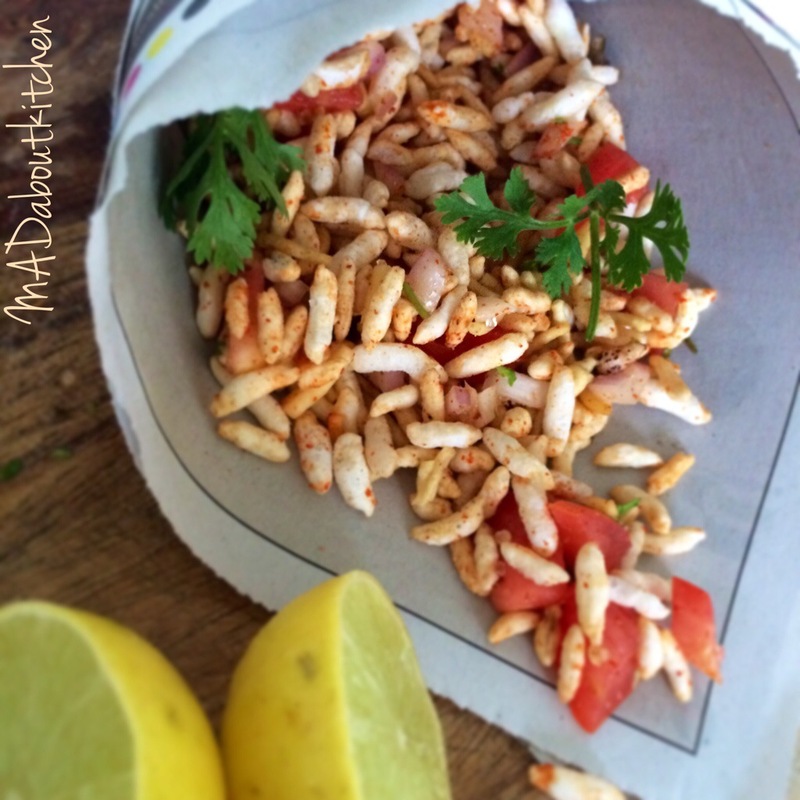 The puffed rice have to be crisp yet mixed well. Enjoy it with a cup of tea….